We believe that cleaning has nothing at all to do with chemistry. 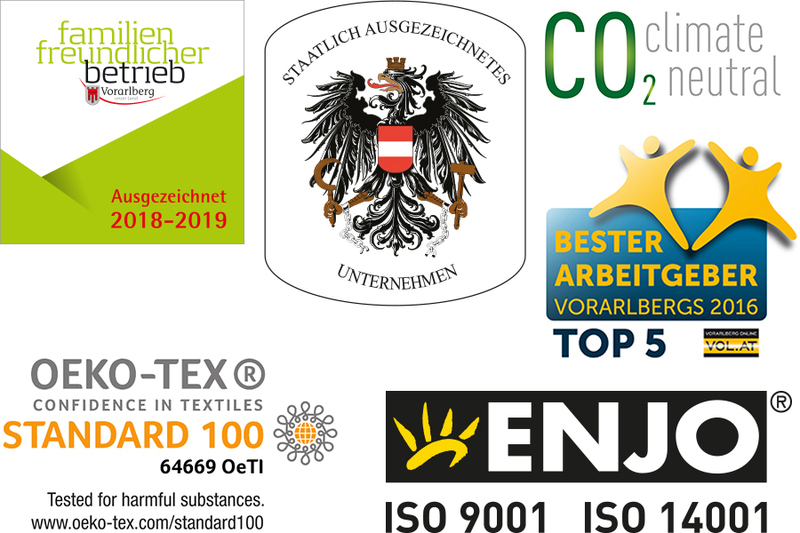 For more than 25 years, ENJO has proven this: day after day, all over the world, with its innovative ENJOtex fibres, comprehensive product range and just a little cold water. This protects our environment and personal health – not to mention our wallets. Follow the ENJO way with us. It’s worth it. Produced in Austria. Made for the World. We have the utmost confidence in our products because we produce them all ourselves – in Austria – mainly using local raw materials. There is no cheap outsourcing with dubious production conditions and quality that cannot be guaranteed. ENJO grows with its employees. Social responsibility and respectful interpersonal relations are fundamental components of our philosophy. ENJO is founded on fair and value-oriented partnership with everyone (ENJOpreneurs, Customers, Suppliers, Employees and Distributors). 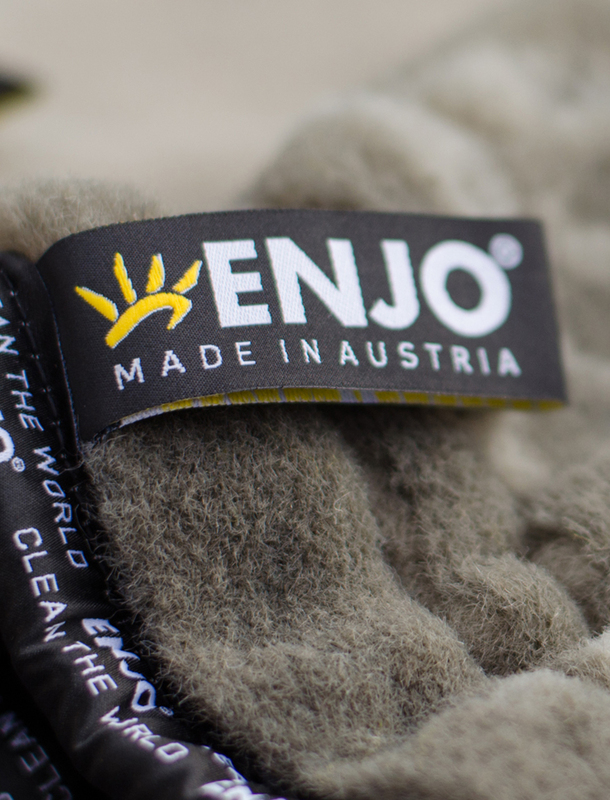 ENJO offers ingenious, environmentally friendly products that are made in in Austria, make life easier, promote health and well-being, and save time and money. ENJO assumes responsibility and, thanks to the creation of ENJOpure homes, makes an active contribution to maintaining the environment for ourselves and for the generations to come. ENJO stands for personalised & perfect customer service, and our delighted customers are a testament to our success. ENJO offers an empowering work environment. ENJO is a flexible, family-friendly company which is continuously increasing its economic success and its quality across the board. The ENJO success story begins in the spring of 1985. The innovative entrepreneur Friedrich Engl happens to witness an oil accident on Lake Constance in Austria. The fire department embarks on the arduous task of cleaning up the leaked oil. Friedrich wonders whether there isn’t a better way to handle such environmentally harmful incidents. Back at home, Friedrich attempts to filter oil out of water using special fabrics. In the process, he discovers that one of the fibres he tested is able to clean deep into the pores. The ENJO idea was therefore born and was then realised by his son Johannes Engl. Johannes founded the company ENJO (= ENgl JOhannes) in 1990. ENJO is now available in more than 26 countries around the world. More than 2,000 ENJOpreneurs help people make their homes ENJOpure. We are proud of the awards we have received. These are just some of them. Our ENJOtex products have been awarded the internationally renowned OEKO-TEX certificate. This means our products are environmentally friendly and health-preserving. ENJO has been recognised as a family-friendly company by the state government for many years. After a lengthy and intensive testing period, we were presented with the Austrian State Coat of Arms by the Austrian Government. ENJO International signed up to the Climate Neutral Alliance and has been 100% carbon-neutral since September 2015. In 2016, ENJO was once again named one of the best employers in Vorarlberg. Any other questions about the company?